English scholar who was one of the first to propose mathematics and experimentation as appropriate methods of science. He even speculated about flying machines and mechanically propelled carriages. 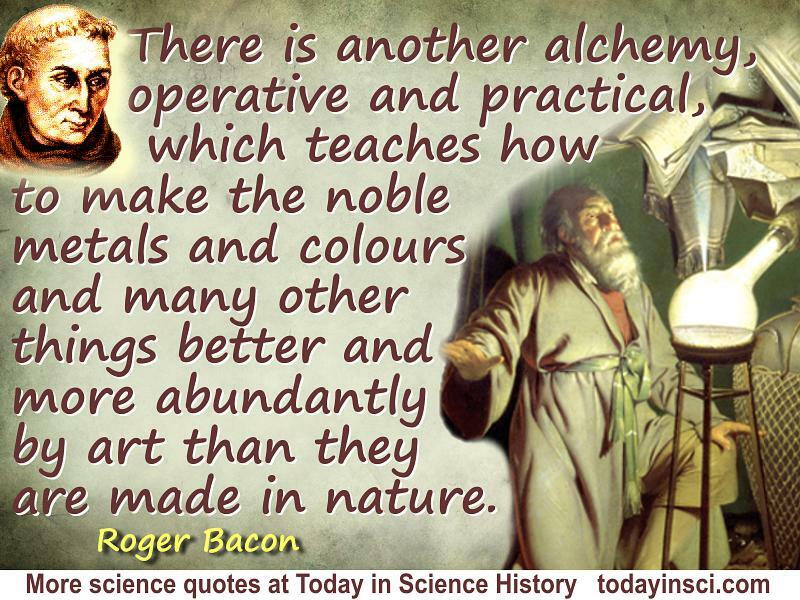 Science Quotes by Roger Bacon. 11 Jun - short biography, births, deaths and events on date of Bacon's death.